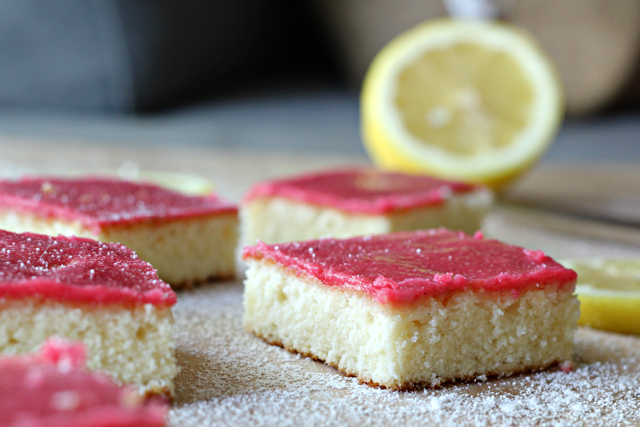 Join me LIVE for a Google+ Hangout where I’ll be making Lemon Cake Squares with Raspberry Glaze with Imperial Sugar! Yahtzee! Fun day today! And not just because it’s Thursday, it’s sunny, and I’m going to a wine tasting in a few short hours. Though that doesn’t hurt. Side note. Why is it that neon food tastes better? Is that just me? Especially when it is naturally pink! I try to keep the dye to my hair only (I swear I’m a real blond). And rainbow bagels. 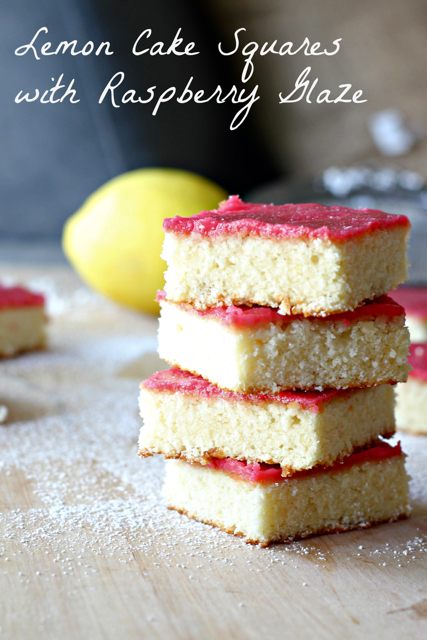 Anyhoo, I’ve teamed up with my friends at Imperial Sugar to make Lemon Cake Squares with Raspberry Glaze for you! I’ll be baking LIVE on August 19 at 6pm CT. You can RSVP here or watch below or on YouTube. You will learn baking techniques such as making a glaze, how to whip eggs to perfection, what does creamed butter look like and more. 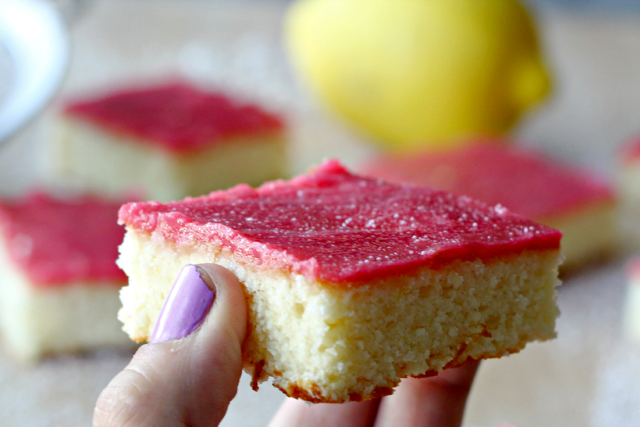 We’ll also discuss some of your favorite summer desserts in this interactive demo. 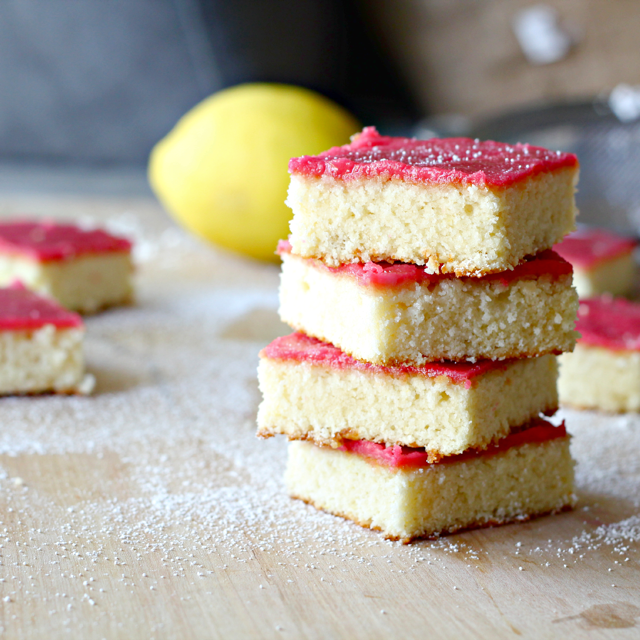 If you can’t wait, check out the full recipe for Lemon Cake Squares with Raspberry Glaze over on Imperial Sugar’s website. And don’t forget to RSVP! 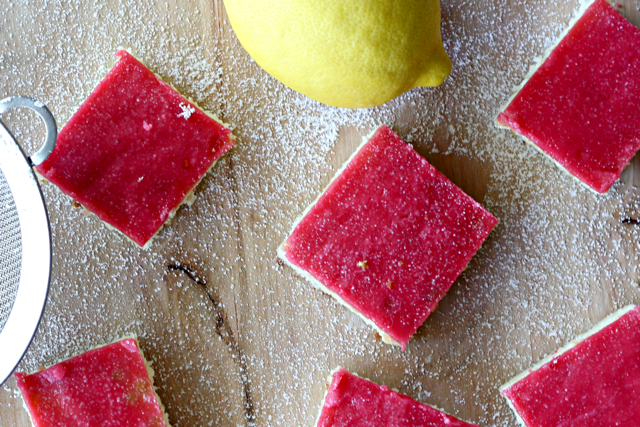 These lemon squares look amazing!